As of 12 April 2019, the ID and Email certificates will no longer be accepted and only the PIV_Auth certificate can be used to login to CPARS. 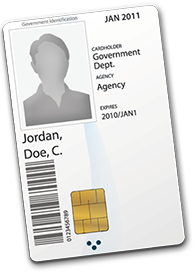 DoD Users: All CAC users that received their card before 24 February 2018 will need to activate the new PIV_Auth certificate. Instructions to activate the certificate or verify that it has been activated can be found on the Navy Infosec Website (https://infosec.navy.mil/PKI/usn_piv_activation.pdf). CAC users who received their card after 24 February 2018 should already have this certificate activated and no further action is needed. Note that this only applies to CAC users. DoD ECA and Federal PIV certificates are unaffected by this change. We recognize that our user may have various Internet Browsers. It is our goal to provide users with a modern and up-to-date experience on the CPARS system. CPARS fully supports the latest three major desktop versions of Internet Explorer, and the latest major desktop version of Chrome, Firefox, and Safari. Older browsers may still view CPARS, however users should expect mixed results. A "major version" refers to a full numeric release, like 9.0 and 10.0 (not minor releases like 9.2.x and 10.2.x). The Adobe Acrobat Reader should be installed. This allows you to view and print the PDF attachments in CPARS and FAPIIS. The reader can be downloaded and installed from Adobe Acrobat. If you have any problems downloading or installing the reader, please contact our Technical Support. If you have any questions about our Browsers Compatibility Statement or Internet Compliant Standards, please contact us. A unique User Identification and password is issued for every user. Security is also provided through a browser which supports 128 bit encryption with the SSL (Secure Sockets Layer) security protocol so that all account information and CPARS applications data will be encrypted when transmitted across the Internet. The Past Performance Data Dictionary is a list of data elements on performance evaluations found in the View Performance section of CPARS. The Product-Service Code (PSC) Mapping Matrix provides codes to describe products, services, and research and development (R&D) purchased by the Federal Government and their thresholds for past performance reporting. You must have a valid CPARS account to logon to the CPARS applications. See the Access Information page for details on how to obtain an account.